Quality Service. We inspect your glasses three times during the manufacturing process to ensure the prescription is filled accurately. Occasionally the glasses do not pass our quality control inspection process. If this happens, you will be notified immediately of any delay. We want your glasses to be perfect! Huge Selection of Frames. Our dispensary has over 4,000 frames in stock. 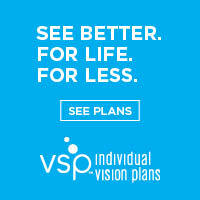 Our opticians and eyewear fashion consultants will help you find the perfect style, size, and color in your price range. We carry designer lines such as Versace, Prada, Dolce and Gabbana, Gucci, Fendi, Armani, Silhouette, and so many more. Fast Service. We have our own in house finishing laboratory and full time lab technicians so your glasses are made promptly. Special orders such as high power prescriptions and anti-reflective or multifocal lenses may take a little longer.